Welcome to Driiv Autosport, You've found our BMW Anti-Roll / Sway Bars page. We offer a Nice selection of BMW Anti-Roll / Sway Bars for most BMW Models, from top Manufactures such as Eibach, H&R as well as OE M-Tech BMW. By installing Performance Anti-Roll Bars / Sway Bars your adding additional body stiffness and better control when cornering or in curves. Stronger sway bars further reduce body roll and allow fine-tuning of your vehicle’s suspension. The true goal is neutral, predictable handling. Anti-Roll / Sway Bars are cold-formed from high-strength aircraft-grade steel and are carefully engineered to fit your vehicle without modification. This M-Technic suspension upgrade is for the E-28 5 Series and the 6 series coupe. Welding of brackets required. 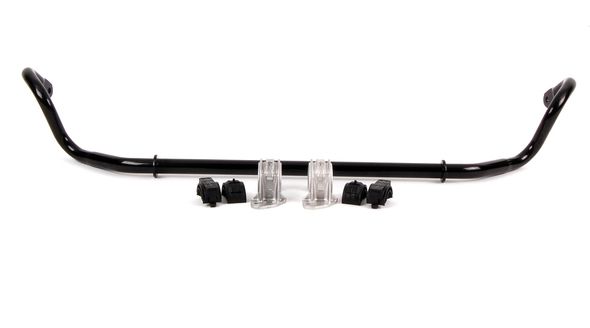 The kit consists of a 25mm front stabilizer bar, an 18 mm rear stabilizer bar, brackets, bolts and rubber bushings. We recommend welding the brackets to the chassis for added safety.